Now everyone within your organization can keep track of what’s going on. Using PortalProdigy’s Task Management and Tickler Notes system everyone can manage and schedule their activities, appointments, meetings, tasks, reminders, follow-up, notes, and more. It is also a fantastic groupware tool for collaborating on assignments, projects, and customer opportunities. Tasks and notes can be designated as private or they can be shared with permitted users including other members of your organization, clients, contractors, etc. Task Management and Tickler Notes is fully integrated with PortalProdigy’s other features including Contacts, Help Desk, Members, Orders, Products, Requests, and Time Billing, allowing you to attach notes and relate tasks to specific data records. Centralized task and notes database. Create an unlimited number of task and tickler records. Create an unlimited number of notes and time log entries for each task. Schedule tasks including start and end dates. Track scheduled vs. actual start and end dates. Track billable time for each task. Calendar option allows you to view tasks by Day, Week or Month. Tasks browser allows you to search and view tasks. Includes user defined selection criteria and sorting. Customize task views by user. Allows each person to select the data elements they wish to see. Attach notes and tasks to Contacts, Events, Members, Orders, Products, Projects, and Requests records. Assign tasks to other individuals. Organize tasks by standardized subjects, task types, and prospecting types. Task types and prospecting types are user definable. 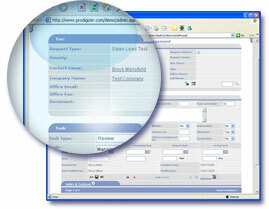 Tasks contain quick links to retrieve and display Contact and Company records. Print a variety of reports. Scheduled Start Date & Time. Scheduled End Date & Time (Due Date). Actual Start Date & Time. Actual End Date & Time. Last Modified by User Name. Calculate Billable Time or Enter Manually?